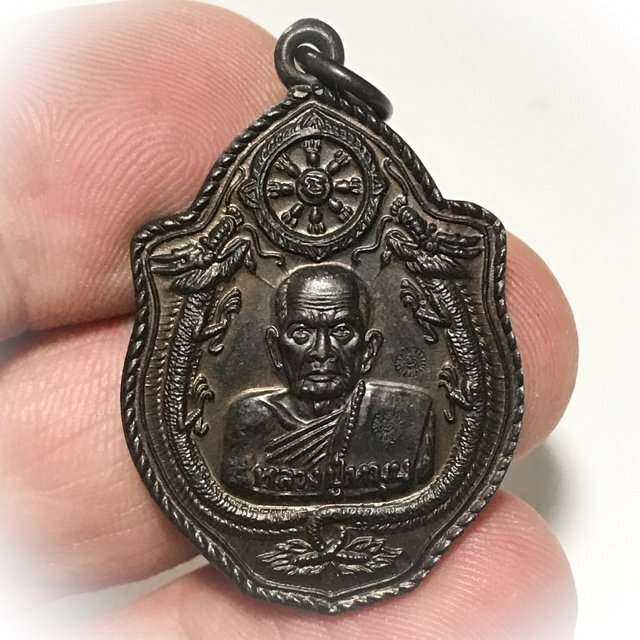 Rian Mangorn Koo Nuea Nava Loha Pim Pised Dtok Sorng Code Ma Wat Pha Nong Lom Run Sao Ha Maha Sethee 5th Lunar Saturday Blessing Ceremony Edition Guru Monk Coin, released in 2543 BE, to raise funds for the Kuti Songk Monks Huts and improve the facilities at the temple of Wat Pha Nong Lom. 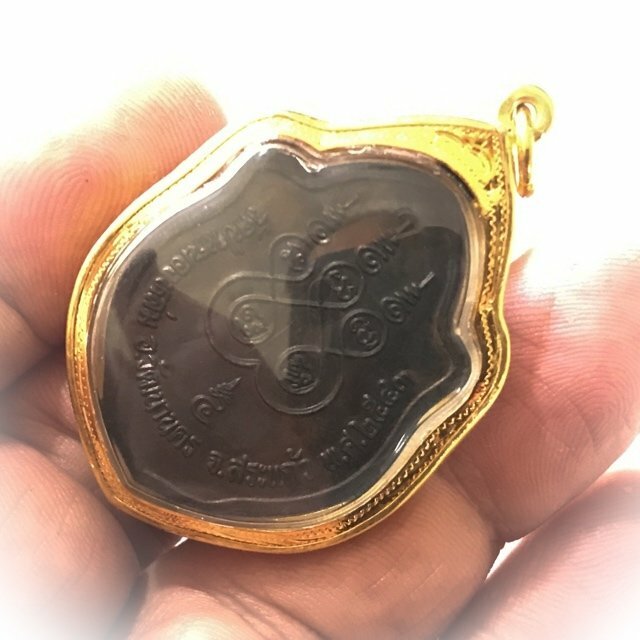 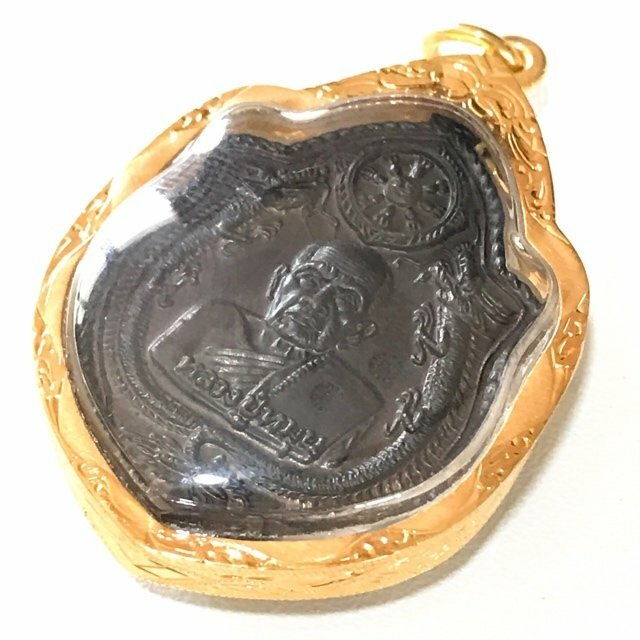 Solid Gold Waterproof Casing is included with this amulet. 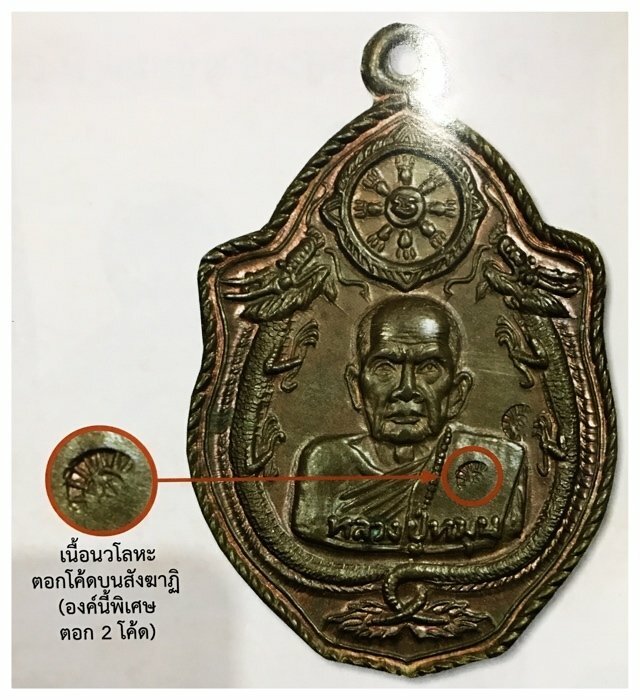 The Rian Mangorn Koo. 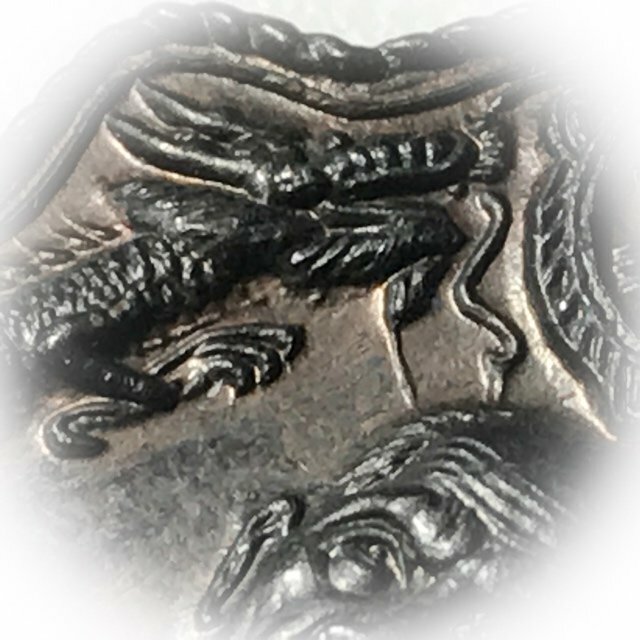 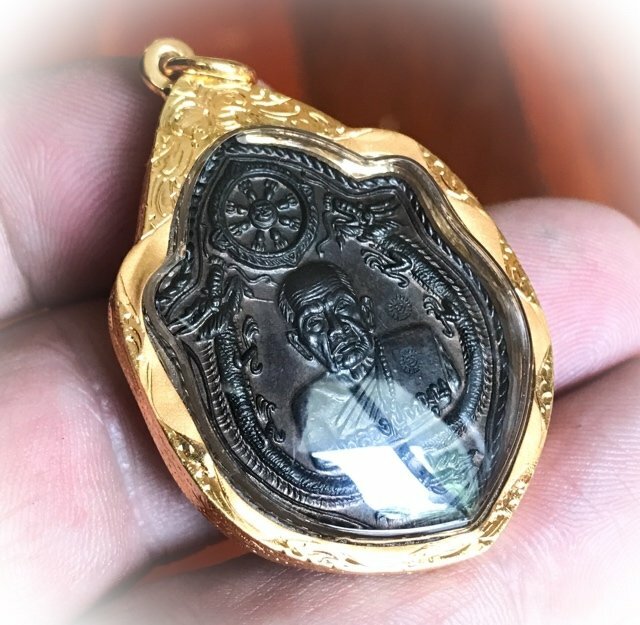 This model is Pim Pised (Niyom preferred) and differs from the majority of Rian Mangorn Koo Wat Pha Nong Lom Edition coins in Nava Loha, because of the double code MA stamp. 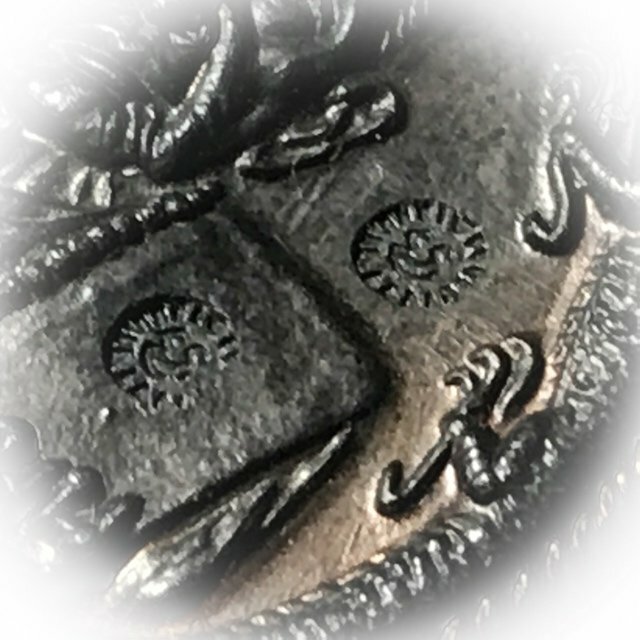 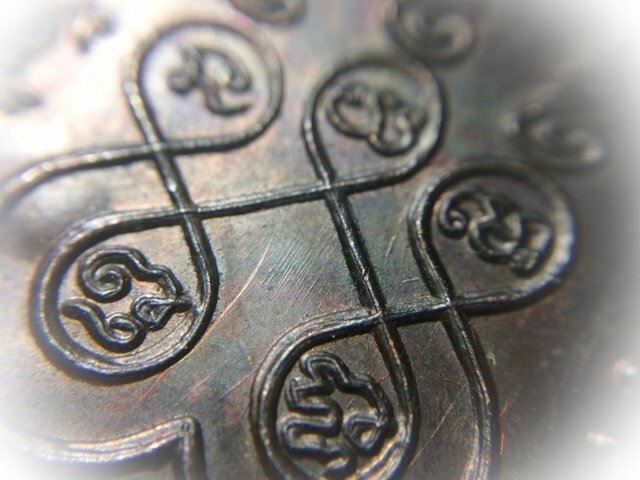 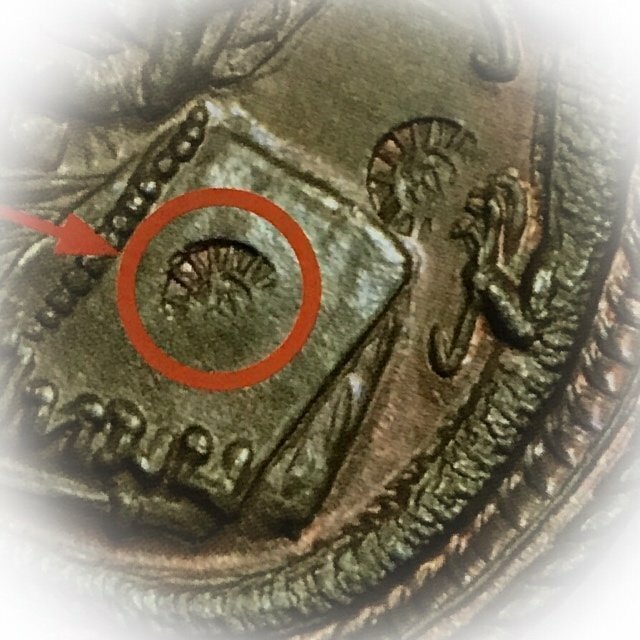 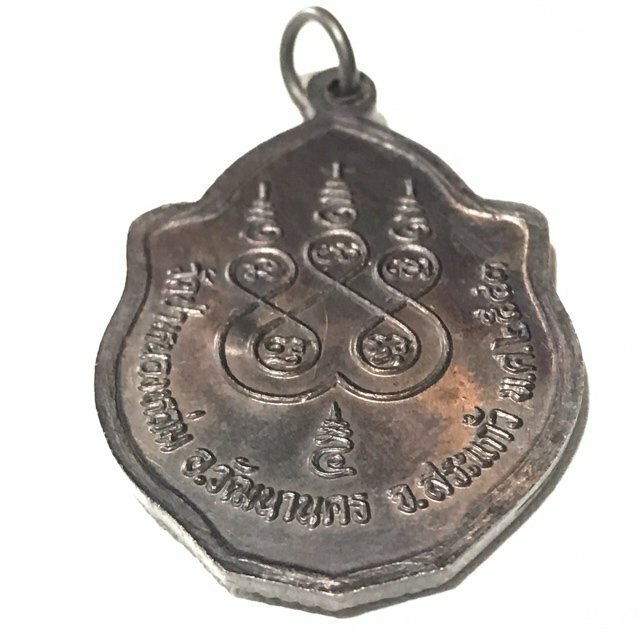 Most coins of the Nava Loha series made for Wat Pha Nong Lom have only a single code Ma Stamp (on the Sangkati chest sash of the robe of Luang Phu), and only the Pim Pised special models received double code stamps. 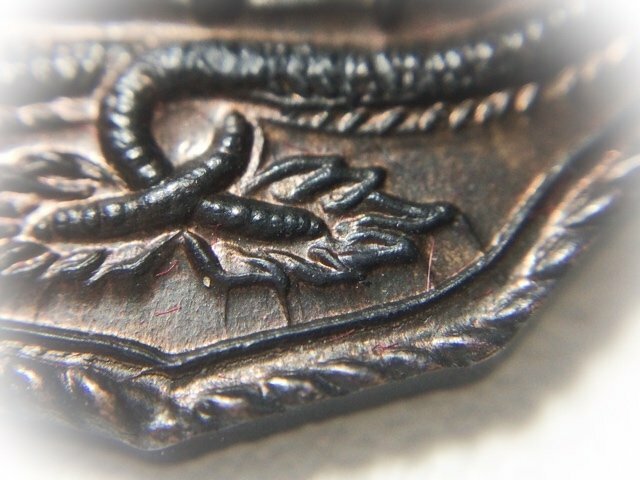 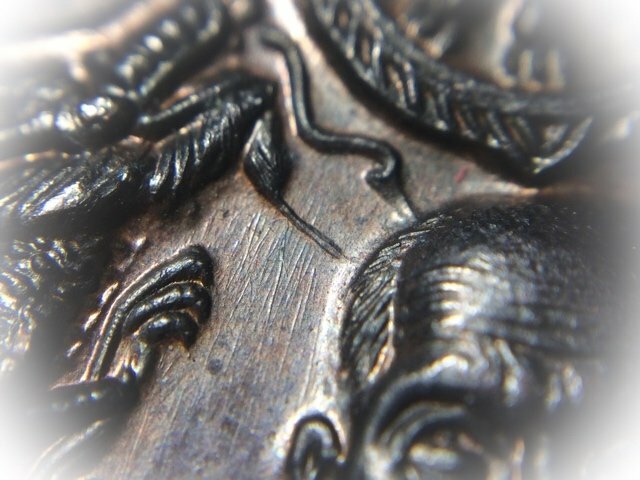 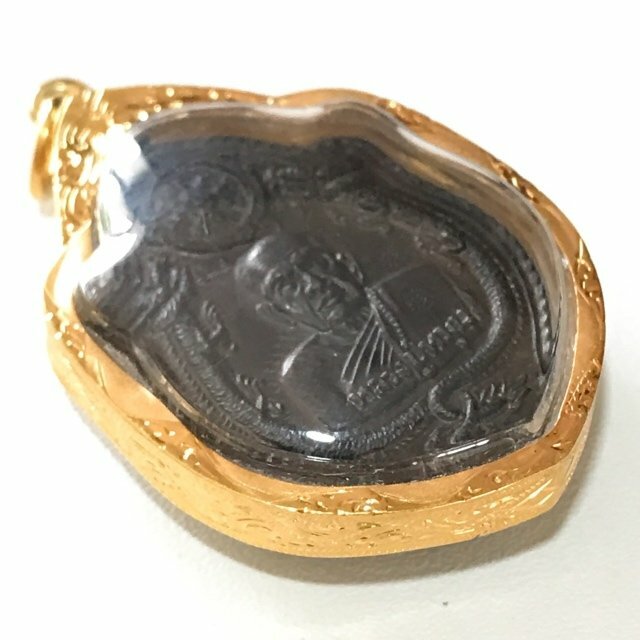 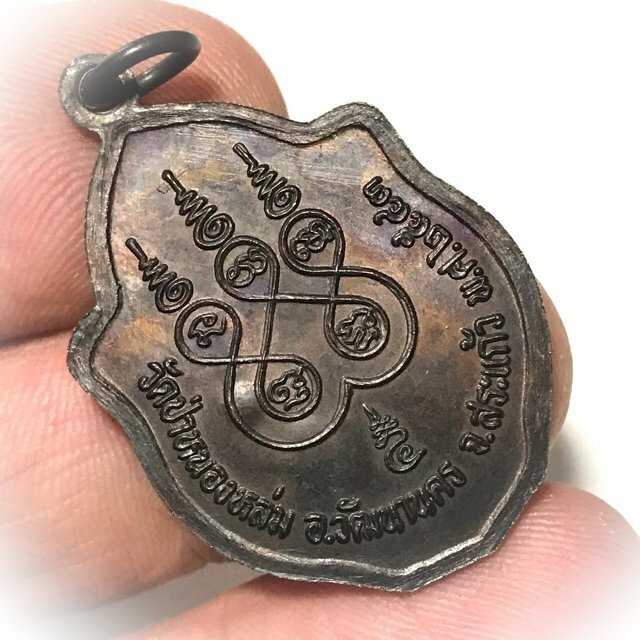 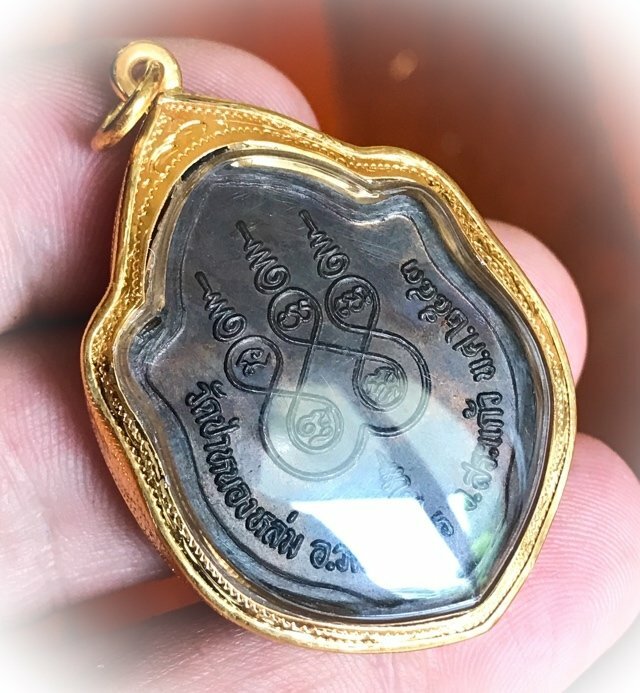 Only very few (unknown number) were distributed with double code stamp, making this not only a sacred, powerful master class amulet, but also a rare collectors piece. 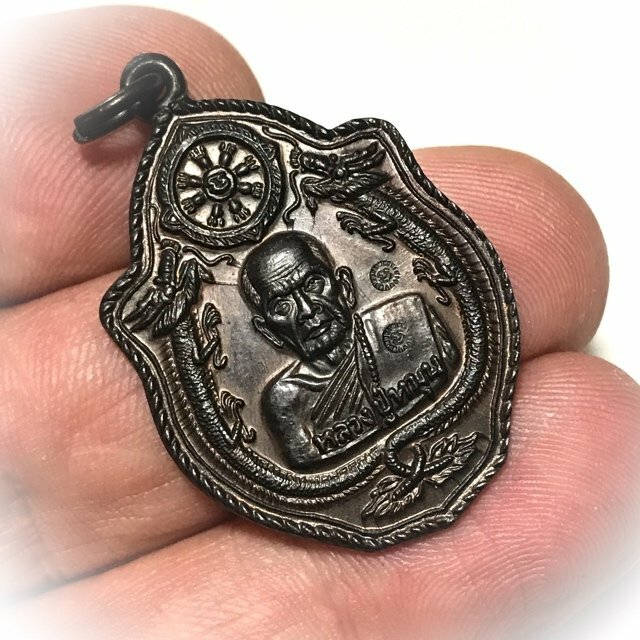 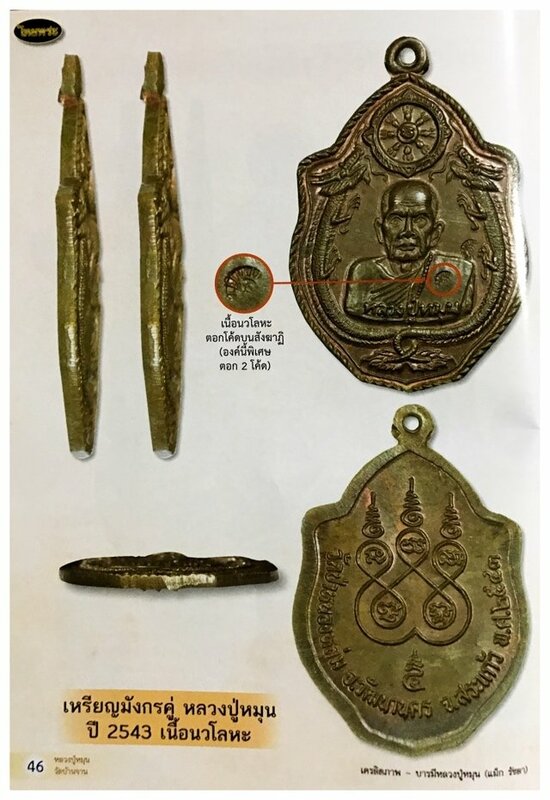 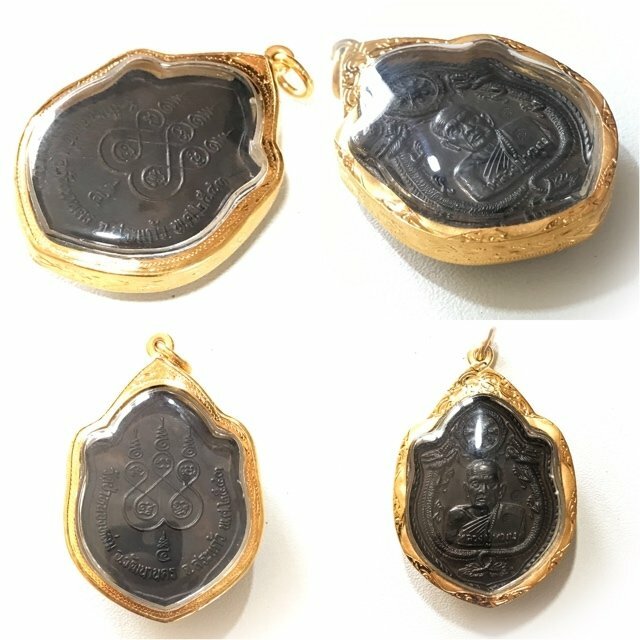 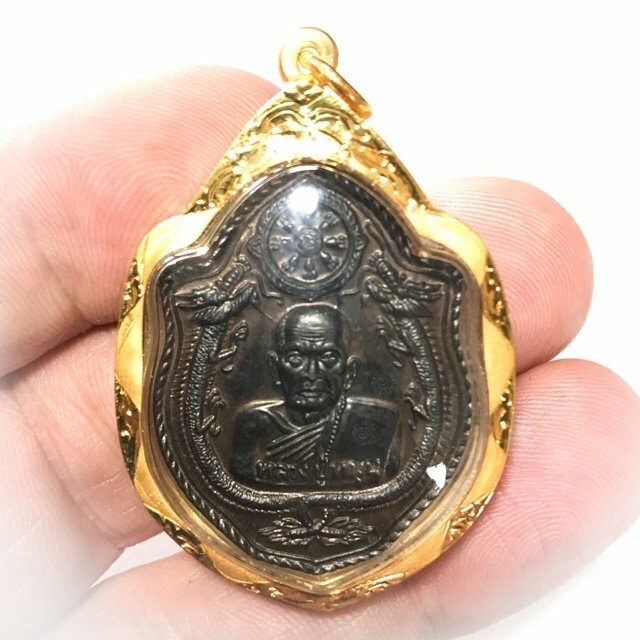 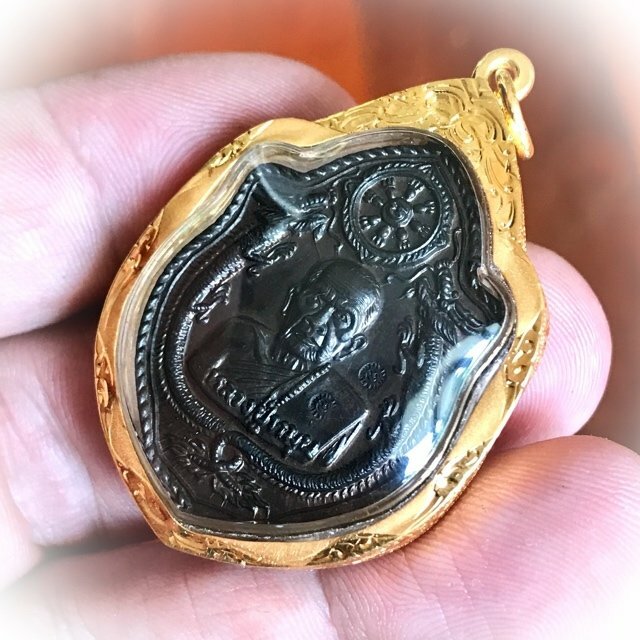 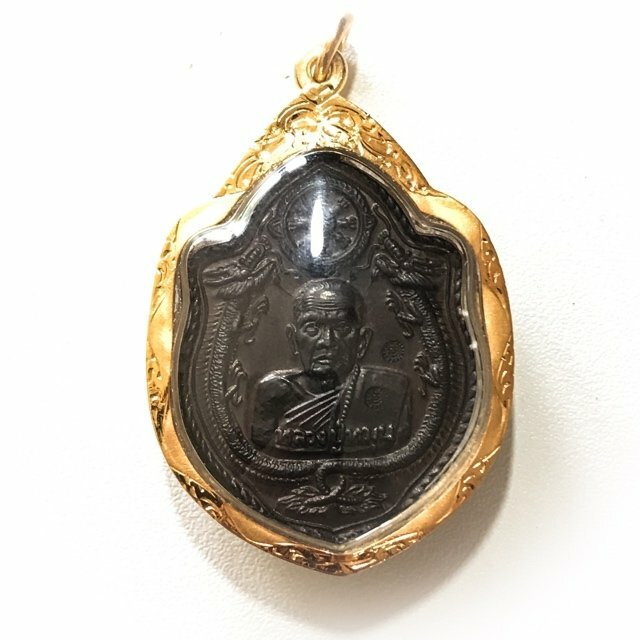 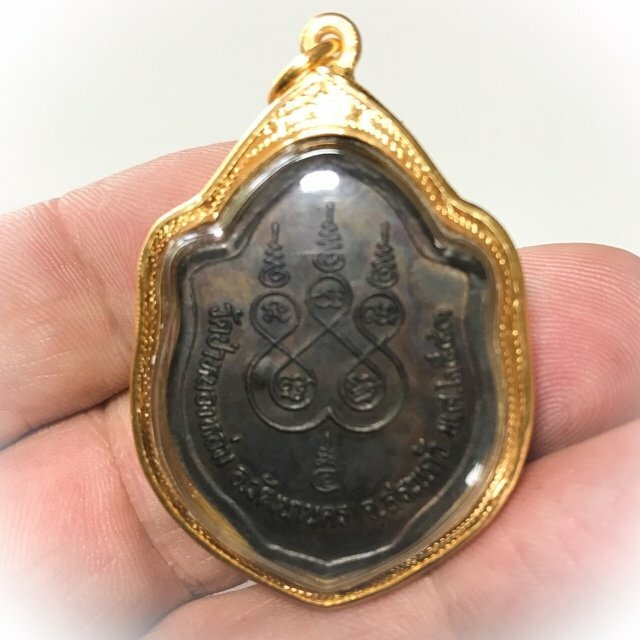 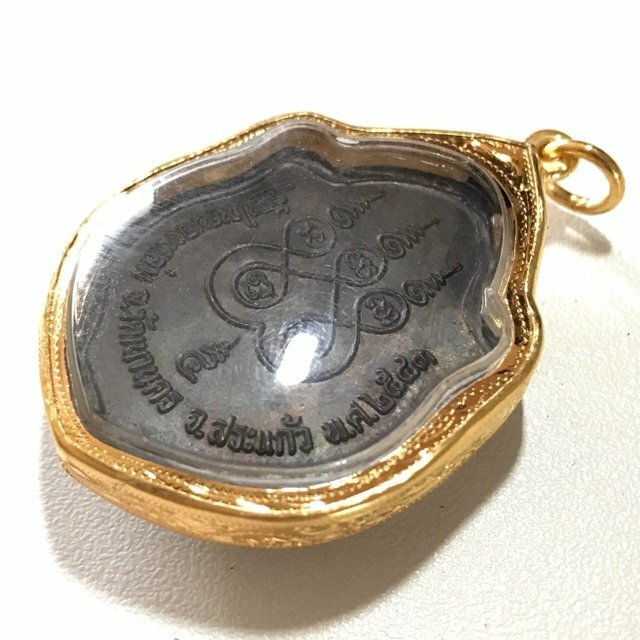 The Rian Mangorn Koo of Luang Phu Hmun is, as are all of his amulets, known for the power of Jaroen Lap Wealth Increasement, and Lucky Fortunes, as well as for their Miraculous Protective Powers. 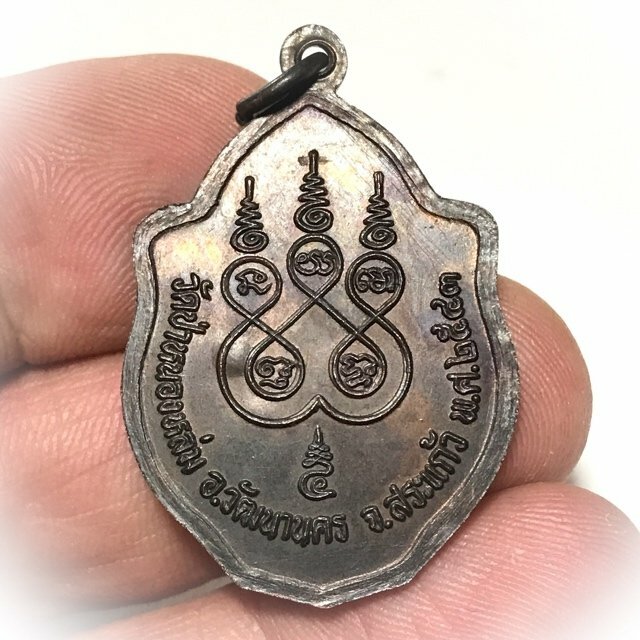 Those born in the year of the dragon love to Bucha this amulet especially, for the obvious reason of the double dragon guardians. 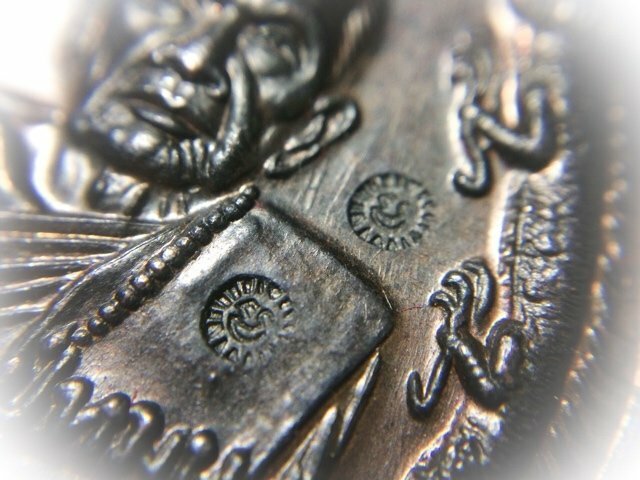 For those with lower budgets, who seek power above collectability and rarity, we recommend to seek the Rian Mangorn Nuea Tong Daeng or Nava Loha single Code Ma, of the same edition, which carries a lower price than this special Nava Loha Pim Pised Gammagarn double code collectors edition model.